Supervisor: Action on large-scale livestock operations will let stakeholders talk about issue. MENOMONIE — The Dunn County Board on Wednesday, with a voice vote, approved a six-month moratorium on the licensing or any expansion greater than 20 percent on large-scale livestock operations with at least 1,000 animal units. KEWAUNEE COUNTY, Wis. (WBAY) – Recent rainfall has left one Kewaunee County couple with tainted water. Not only is it undrinkable, but you wouldn’t want to wash your dishes or shower in it. Rob and Erika Balza live about a mile outside Luxemburg. When they went to brush their teeth before bed last night, they saw brown water that smelled like manure coming out of their bathroom faucet. The brown, murky water is also in their toilets. “I mean it’s gotten to the point where the nitrates have gotten so bad in the water that twice now they’ve eaten through copper pipes in the basement,” Rob Balza said. “We have simply too much manure being spread over what is a very vulnerable geology in northeast Wisconsin,” said Luft. "They're (located) on Cranberry Creek. The creek is very close to the current barns that they are using. So, if it permeates into the ground, which it does, gets into people's wells, but also runs into the creek, which runs into the river. So, it affects people not just immediately adjacent to the farm. It affects people way down stream." Dunn County (WQOW) - An area dairy farm wants to expand its milking operations, but some neighbors are saying not so fast. "Most of our elected officials will tell the voter that they believe in local control but actually vote to eliminate local control," Smith said. "Who knows better about the need for clean air, clean water, and quality of life than those who live next to these enlarging factory farms? It is important that we have representatives in government who represent the people and their needs rather than the good of corporations who are taking over our farming industry." Jeff Smith, community organizer and former Assemblyman for the 93rd District, gave a presentation entitled “Expansion of Factory Farms” to a Community Conversations gathering at Menomonie Public Library on Saturday. Tom Quinn, a Dunn County Board supervisor and chair of the Planning, Resources and Development Committee, pointed out that the only control over the permitting process that the counties have is the storage of manure. "With a plan to expand a concentrated animal feeding operation in the town of Rock Creek, a Dunn County committee believes it is time for it to determine what impacts such operations could have on the county. The Planning Resources and Development Committee on Tuesday decided to ask county staff to look into the issue of concentrated animal feeding operations and report back on their findings. Committee Chairman Tom Quinn said he has had numerous calls from citizens and other county supervisors about what the county’s role is — if it has one — in such operations....."
A state drinking water study has found signs of new contaminants that threaten human health in a Wisconsin county where a large number of wells were already tainted by pollutants linked to manure from large dairy farms. Signs of salmonella and rotavirus were found in 11 of 30 private wells tested recently in Kewaunee County, the state Department of Health Services and Department of Natural Resources said. Neighbors in Ledgeview have won their fight to stop a farm on Dickinson Road from building a 15-million gallon manure pit near their homes. In a 4-1 vote Tuesday, the town board passed an ordinance requiring the proposed pit and any other manure storage areas to be at least a quarter mile away from neighboring properties. In 2012, researchers definitively linked the presence of the viruses in 14 Wisconsin municipal water systems to acute gastrointestinal illness. More than 73,000 people use water provided by 60 municipal water systems that do not disinfect, according to DNR figures. The problem is that direct discharge into streams rarely happens, but manure and water can still enter the state’s waters via farm runoff and groundwater. 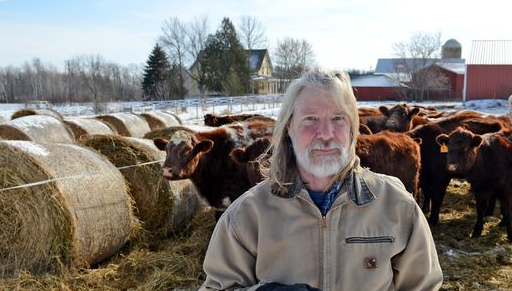 Take Kewaunee County, home to nearly 100,000 cows, where residents have for years struggled with polluted wells and manure runoff. Kewaunee County Supervisor Lee Luft told the Journal Sentinel that while the dairy association’s press statement dealt with managing rainwater, the larger issue is the group’s contention that large farms in most cases would not be required to obtain a wastewater permit. The reason for having a federal pollution agency rather than leaving things to states is that pollution crosses state lines. Particulates from a power plant in North Dakota blow into Minnesota. Mercury and sulfur from coal burned in a plant at Becker, Minn. to light our house in St Paul, rain out over Wisconsin, Michigan, Illinois and other states to the east. When I flush my toilet, the waste is destined to pass St. Louis and Memphis eventually. Making entirely state-based environmental policy inevitably means that downwind and downstream cities and states will lose out. It also means that the U.S. economy as a whole will produce on balance, fewer goods and services from a given set of available resources that we could. As Americans, we will be poorer in real terms. "Add to this the complication that technology tends to expand the range and scope of environmental effects." But this polluted water is right here. In many parts of Wisconsin. In a state whose very name evokes the image of lakes and rivers and clean, cool, abundant water. 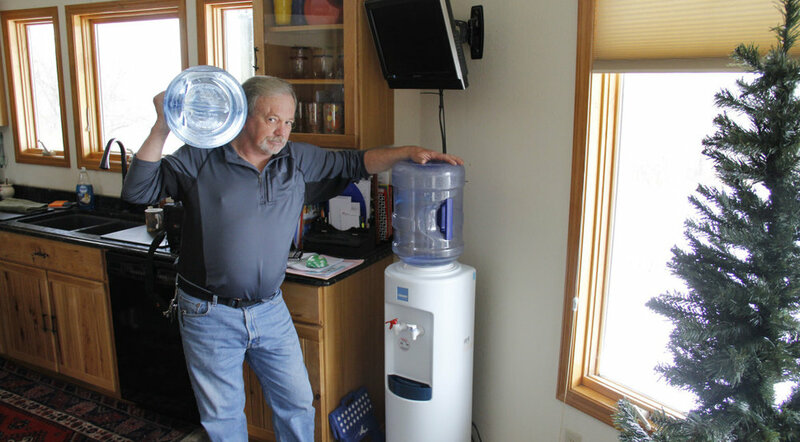 Lynda Cochart’s water from her private well was so poisoned by salmonella, nitrate, E. coli and manure-borne viruses that one researcher compared the results from her Kewaunee County farm to contamination in a Third World country. She suspects the problem is related to the county’s proliferation of large livestock operations, although testing did not pinpoint the source. “Realize that we can’t drink, brush our teeth, wash dishes, wash food; we can’t use our water,” Cochart wrote in a letter last year to the U.S. Environmental Protection Agency, seeking intervention in the county’s drinking water problems. Wisconsin has never taken that position. And in fact as far back as 1922, well before federal law even existed on this topic, (the state) has controlled discharges to groundwater through a very broad term called 'waters of the state,'" Kent said. "The state has never limited itself to that federal mandate." “Moving to a sort of ‘Catch me if you can’ regulatory scheme like this puts more water resources at risk and additional burden on local governments,” said Sarah Geers, a staff attorney for Midwest Environmental Advocates. Counties would assume oversight of the big concentrated animal feeding operations, or CAFOs, but many of them are even more thinly staffed than the state Department of Natural Resources, the agency that now has primary responsibility. Lynn Utesch and his wife, Nancy, raise Beef Shorthorn cattle on a farm in the town of Pierce in Kewaunee County. The couple formed the group, Kewaunee C.A.R.E.S., which advocates environment friendly farming practices. 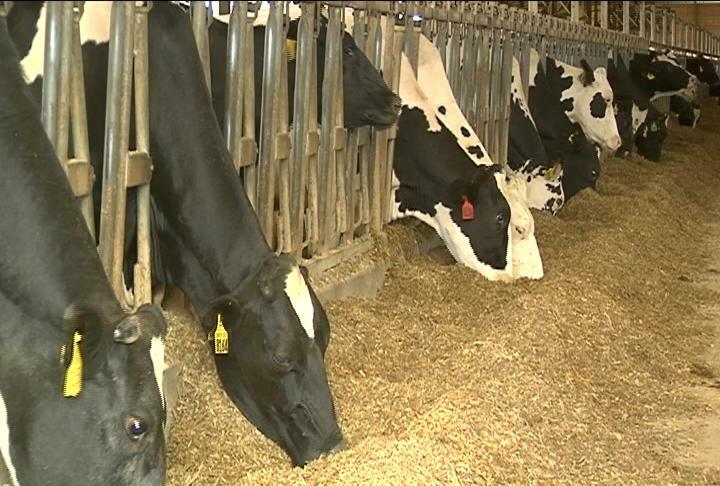 Wisconsin is home to more than 260 megafarms, also called concentrated animal feeding operations. That's up from less than 50 megafarms just 10 years ago, according to DNR permitting records. "These farms are home to about 400,000 dairy and beef cows that produce 47 million gallons of manure every day, based on estimates by the Environmental Protection Agency. That's more waste than the amount produced by all the residents of Wisconsin combined." Ledgeview residents Mike McCarthy and Charity Schneider stand at the end of a cul-de-sac in their neighborhood next to a farmland where construction of a manure pit is being proposed..
"While the Lysnes often smelled manure in the area after spreading, their water had no odor or color. "Unfortunately, that isn’t an unusual circumstance. “Contamination occurs on the microscopic level and you can definitely have water that is contaminated and that is not safe for drinking without any obvious signs of contamination,” Culhane said." More than half of U.S. milk is produced by 3 percent of dairies. While milk carton imagery pictures bucolic, small farms, more than 50 percent of U.S. milk is now produced by just 3 percent of the country’s dairies — those with more than 1,000 cows, according to the U.S. Department of Agriculture (USDA). The very largest U.S. dairies now have 15,000 cows. In Wisconsin, several dairy operations are now facing opposition to plans to expand their herds. Porous karst soils in the parts of Wisconsin where a significant portion of dairy expansion is occurring present some unique environmental issues. 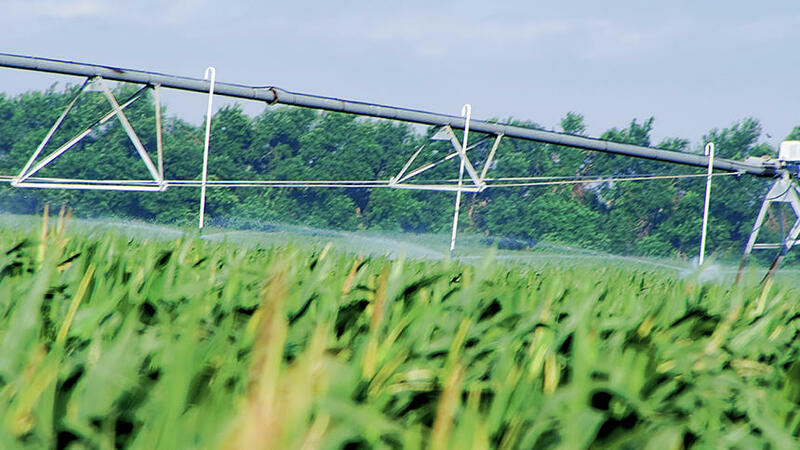 Run-off from dairy farms and other agricultural activities has seeped into aquifers and elevated levels of nitrogen, in some instances to unsafe concentrations. Owners of wells that pump more than 100,000 gallons of water a day are no longer subject to Wisconsin Department of Natural Resources review for maintenance and replacement of existing wells. My concern is that as large entities purchase large tracts of land, they're not just buying the land, but they're buying these wells," she said. "And as water and clean water becomes more scarce, what's to stop a company from saying 'we're going to buy this large farm' and really what they're buying is our groundwater.